hosted by Karen @ Books and Chocolate. There are 12 categories, but you don't have to do them all. You can select which ones appeal to you and still qualify for the draw. 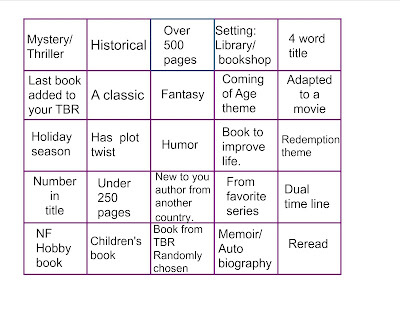 Here are the books I will read for each category. Five Star (Deluxe Entourage): Read at least five books by different European authors or books set in different European countries. Four Star (Honeymooner): Read four qualifying books. Three Star (Business Traveler): Read three qualifying books. Two Star (Adventurer): Read two qualifying books. One Star (Pensione Weekender): Read just one qualifying book. 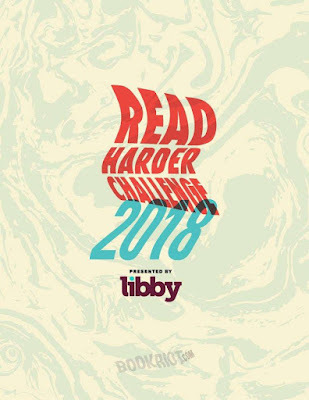 The participant who reads and reviews the greatest number of qualifying books (more than five) will get a $25 gift card to Powell's Books (can be used in store or on line). Participants living in Europe will get a $25-equivalent gift card to the Amazon store in your country, if possible. If you live in a country where neither Powell's nor Amazon will work, then sorry, you are out of luck. Each book must be by a different author and set in a different country. 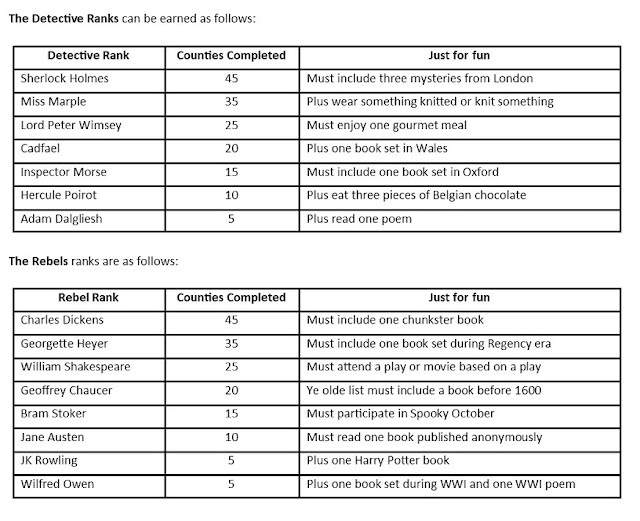 This means that only one book from one of the four UK countries will count. Only books reviewed count towards the prize. The goal of this challenge is to read a book for each letter of the alphabet. You get one freebie letter as well. 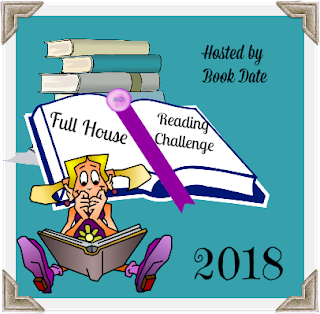 There are monthly mini challenge and a kidlit version. RULES: This challenge runs from January 1st to December 31st, 2018. Create a post committing to your participation. 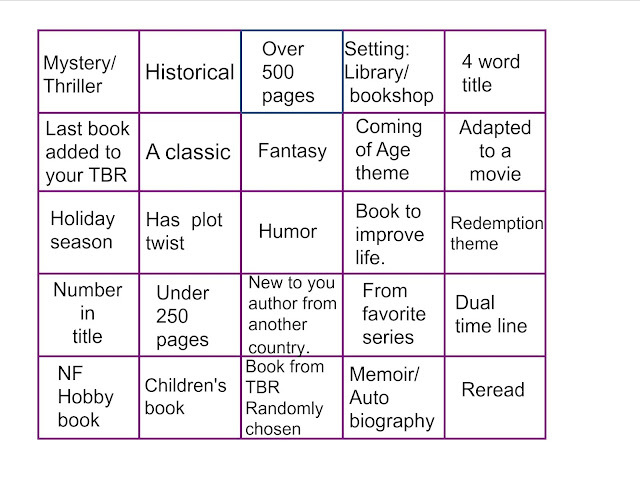 Read and review books based on topics on the card below. There will be a link every quarter for you to add your reviews as you go along. The goal is to complete the full house card, with one free exchange if there is something on a square that you really dislike. those long series everyone raves about, but you have fallen behind. Maybe you have read a few. Maybe the author writes faster than superman. Maybe you never heard about it until the series went viral. talking about the latest and greatest book that has come out and save everyone’s day! * The minimum goal is 5 books. * The books have to be in the same series and by the same author(s). * Only romance series are accepted. Any sub-genre of romance accepted. * Sign up between December 1, 2017- December 31, 2018. Anyone can enter. You don’t have to have a blog just as long as you review your books somewhere: on your blog if you have one, Amazon, Goodreads, Shelfari, etc. Any genre, length, or format is acceptable as long as it is the last book in a series where all books in the series have been published and no more books are currently intended to be published in the series. If an author makes a decision somewhere during the year to add on to the series, we will count both the original last book in the series and the “new last” book in the series assuming the author isn’t going to write more than one additional book. Last book published in a series doesn’t count if more books are expected to be published. You can list your series enders ahead of time or do a singular wrap up post. If you decide to list them up front, feel free to change them throughout the year as necessary. 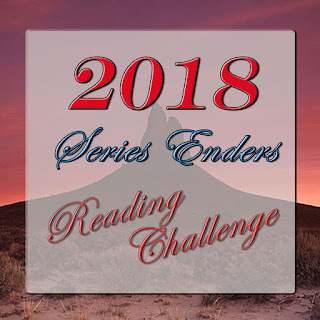 When you sign up in the linky, please use the direct link to your post about joining the 2018 Series Enders Reading Challenge. If you don’t have a blog, please post about it on Facebook or Twitter and include that direct link as your sign up. You can sign up until December 15, 2018. This allows you to join the challenge at any time during the year. On the 25th of every month, we will post a wrap up on both Somewhere Only We Know and Words Fueled by Love with a giveaway and a place for you to link up your reviews for the month. The monthly giveaway will be open until the next wrap up post goes up (ex. From January 25th 2018, to February 25th 2018). For each link to a review, you will get an (1) entry into a drawing for that giveaway. This will be open internationally. Monthly giveaway prizes will be an e-gift card of your choice up to $5 (USD) from Amazon or Barnes and Noble. If you miss a wrap-up post and giveaway, you can link your review the next month. Please do not try to link to one review twice. We will be verifying these. December will be the wrap up for the entire year. All reviews linked from January through December will be entered into a Grand Prize giveaway. Also due to Christmas, the December wrap up will post on December 23rd and will be open until January 23rd. You don’t have to follow Somewhere Only We Know or Words Fueled by Love to participate in the challenge, but you do have to follow both of us in order to be entered in the giveaways. 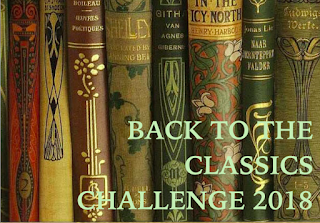 My fifth year participating… I am going to get to 52 books in 52 weeks again this year. Last year I have miserably failed. Are you ready for another round of Reading 52 books in 52 Weeks? Whether you are just joining in or continuing on for another round, the rules are very simple. The goal is to read one book (at least) a week for 52 weeks. Then now is the time. The goal is to read 52 books. How you get there is up to you. 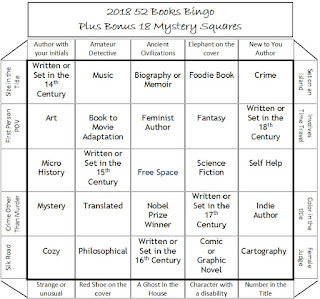 To aid us in our reading adventures, we have several optional challenges which are listed in the link bar above: A to Z, Dusty and/or Chunky and 52 Books Bingo, as well as our perpetual Well Educated Mind challenge. 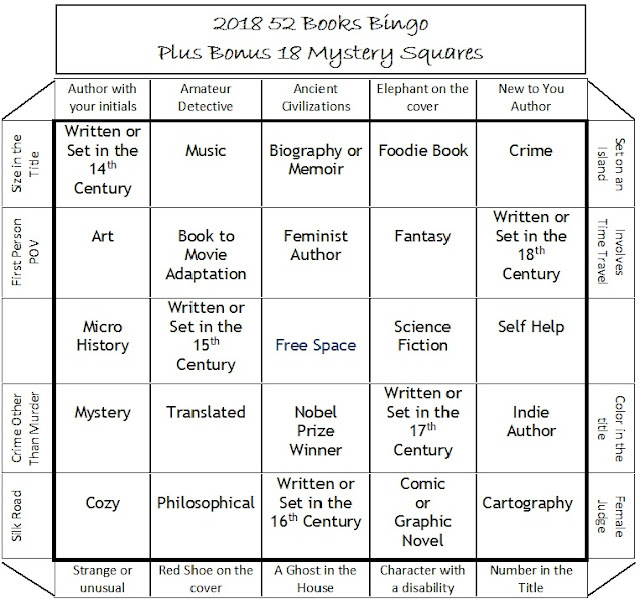 We have monthly themes and author flavors listed along with a few readalongs and various mini challenges throughout the year to tickle your reading taste buds. Our book weeks begin on Sunday. Participants may join at any time. All books are acceptable including comic books and graphic novels. All forms of books are acceptable including e-books, audio books, etc. Re-reads are acceptable as long as they are read after January 1, 2015. Books may overlap other challenges. Create an entry post linking to this blog. Sign up with Mr. Linky in the “I’m participating post” below this post. You don’t need a blog to participate. Post your weekly book in the comments section of each weekly post. Mr. Linky will be added to the bottom of the weekly post to link to reviews of your most current reads. I'm going for "The Voyage - 10+ books" here. Join us in the Agatha Christie Perpetual reading challenge and read at least three of her books per year. Read the books in chronological order as listed, group by detective or collection, or randomly if you choose. Takes place in flower's country of origin. 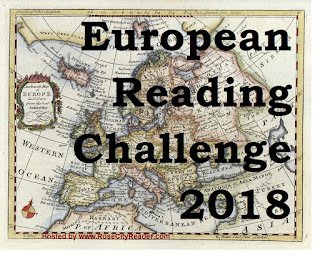 This year we’ll follow the Roman Road through England with the intent of reading a book from each of the 45 counties with a few extra trips to London. At the beginning of each week we’ll check in and post our route. Pack your bags and kindles and audiobooks and get ready to Brit Trip! One of the challenges we discovered in planning was that the counties change frequently and in many places overlap with other counties and then there’s some disagreement on what is and isn’t a county. Here’s an interesting article on the confusion of English counties! Join in for as much as you want. This is supposed to be fun. Let us know if you are in so we know who we are caravanning with! Please follow us on Goodreads. We’ll be shelving our Brit Tripping reads on their own shelf. To see what counties are included you need to go MumtoTwo’s page and click on SETTINGS next to the search box and check the box for RECOMMENDER. Then at the bottom of the beige box click on CLOSE. The expected itinerary will be posted every Sunday. 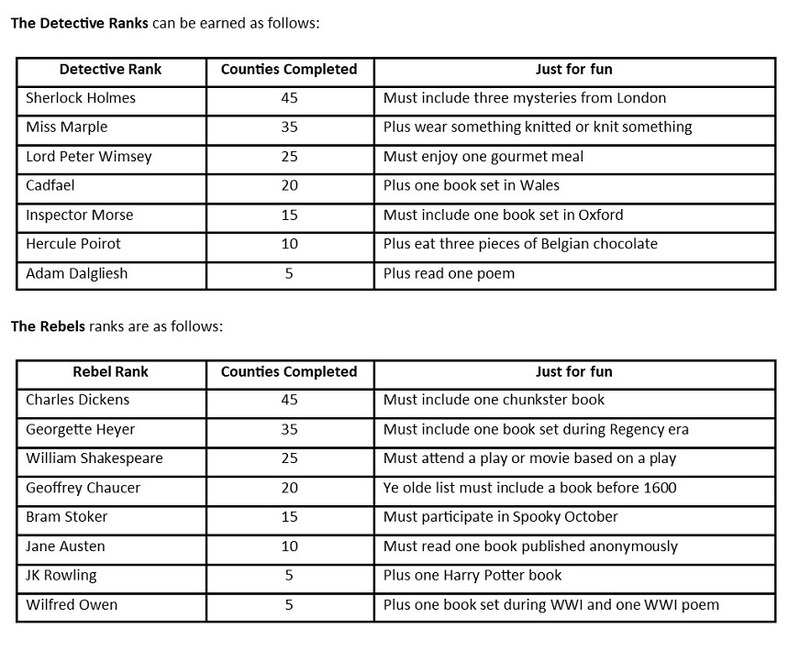 All those who join us for our adventures will earn a rank based on number of counties completed. And the final level is The Bertram Wooster. 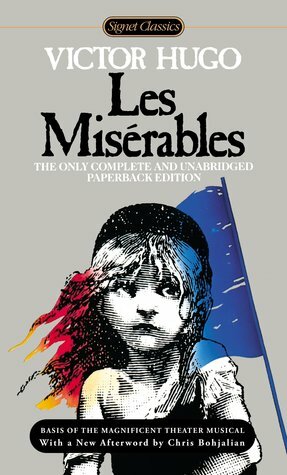 That is earned by reading one book set in England of any genre but failing spectacularly at all other challenges. A good attitude must be maintained despite numerous hardships. Employing a Gentleman’s Gentleman is optional but encouraged. Bonus points awarded if you are accidentally engaged multiple times during the year. We hope you enjoy traveling around England with us! Mave has read 4 books toward her goal of 180 books. Share book reviews and ratings with Mave, and even join a book club on Goodreads.